I completely agree with Hush,Hush and Shiver. I'd would add Fragile Eternity by Melissa Marr and Envy by Anna Godbersen though. I have to agree with you on many of those titles- the covers are just amazing. 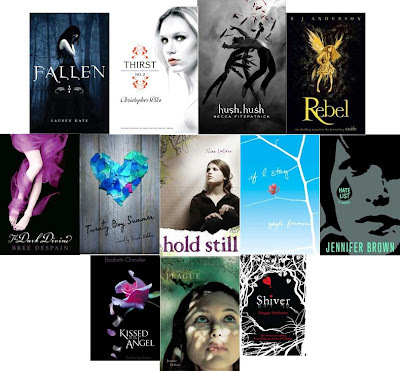 I especially love If I Stay, Hush, Hush, Fallen, and Twenty Boy Summer out of them all. Beautiful. Very good picks! I especially love The Plague, Hush Hush, and If I Stay. Nice picks. Fallen is definitely in my top 10 too.